Happy Halloween! 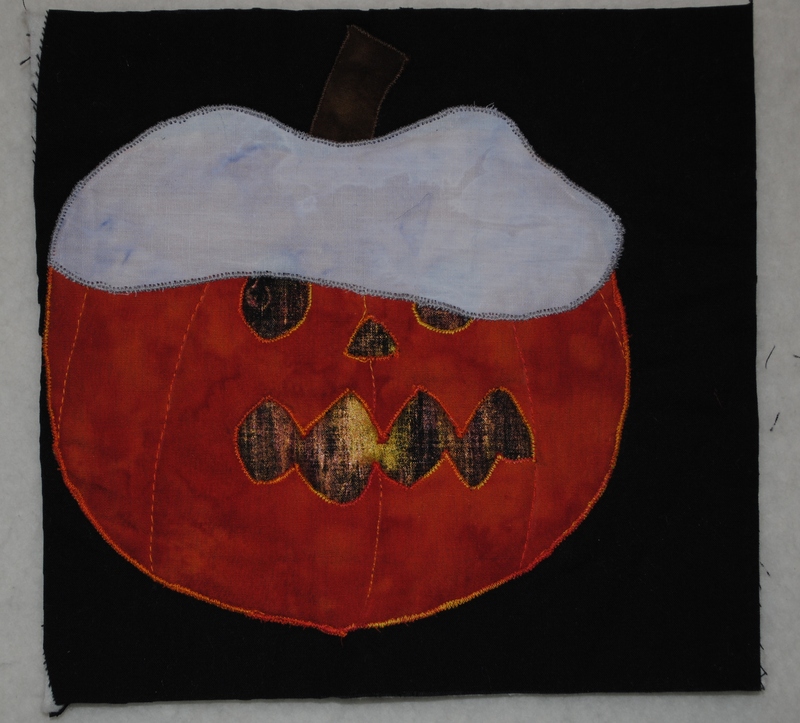 Week 23 of my journal quilting project in 2011, fell over Halloween and a memorable one at that since it snowed over a foot. I did reverse applique for the jack o’lanterns face, which allowed me to create the glow behind it with some Shiva paint sticks.